Each year, Future Professionals and staff from the nationwide network of Paul Mitchell Schools spend the months of March through mid-May raising money for various charities with their annual “FUNraising” campaign. 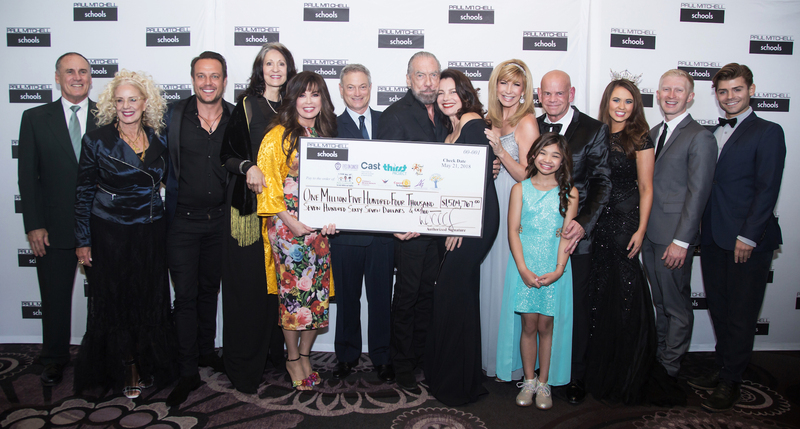 The annual campaign culminates in the FUNraising Gala dinner, hosted by Winn Claybaugh, Paul Mitchell Cofounder and CEO John Paul DeJoria, Paul Mitchell Co-owner Angus Mitchell, and representatives from the supported charities. Past celebrity partners and guests have included entertainers Donny and Marie Osmond; actors Betty White, Fran Drescher, Gary Sinise, Dolph Lundgren, Mira Sorvino, John Schneider, Megyn Price, Kristin Bauer, Danny Trejo, Ricky Schroder, Sara Rue, Michael Jai White, and Pauley Perrette; basketball legend Magic Johnson; TV and radio personality Leeza Gibbons; country music superstar Dolly Parton; hairdressers Vidal Sassoon and Eden Sassoon; CNN’s Larry King; comedian/motivational speaker Kathy Buckley; singer/songwriters Natasha Bedingfield and Sara Evans; and more. Thanks to event sponsors who generously underwrite the dinner, every dollar from ticket sales goes directly to the charities. In addition, the top FUNraising schools receive a day of education in their schools with renowned beauty industry artists and educators who donate their time. To date, the campaign has raised over $20 million to benefit a number of charitable organizations. Rather than seeking huge corporate donations, Future Professionals raise most of the money through grassroots events like cut-a-thons, hair shows, car washes, bake sales, and “Casual for a Cause” days, with donations averaging $5 to $10.